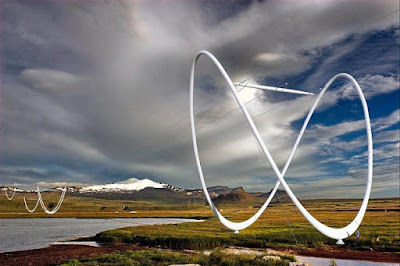 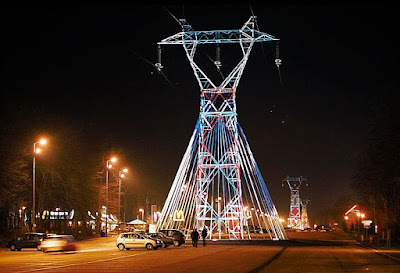 10 Most Creative High Voltage Transmission Line Tower Designs. 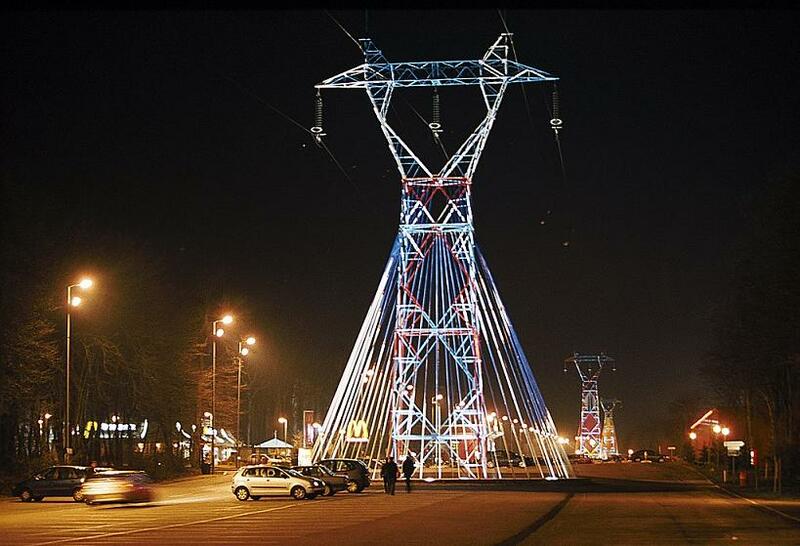 Most of the electric pylons are ugly to look; these steel framed towers have nothing noticeable in them. 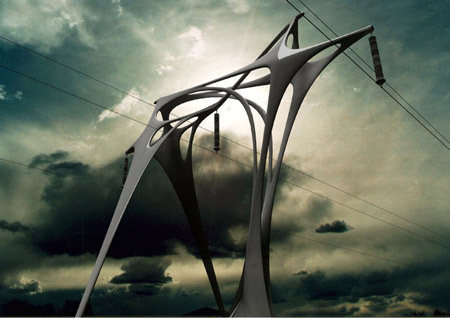 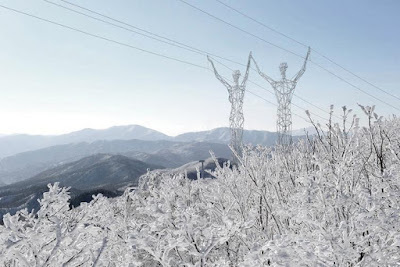 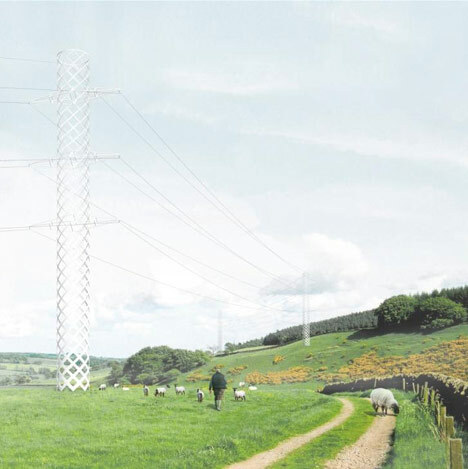 But with a touch of creativity, these electric pylons can be monuments in the landscape. 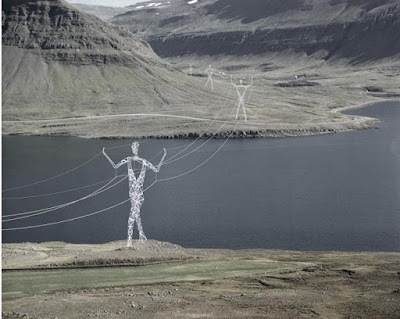 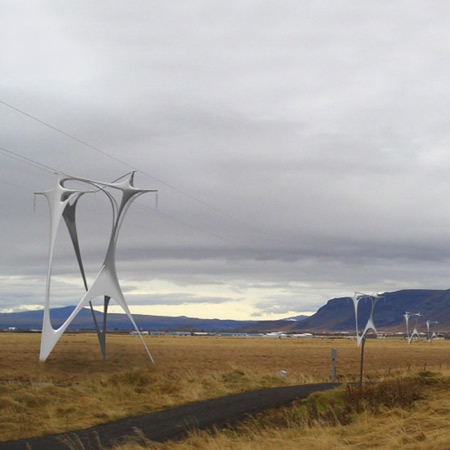 Land of Giants: These electric pylons are shaped like human figures, conceptual design by Choi + Shine Architects to create monuments across the Icelandic landscape. 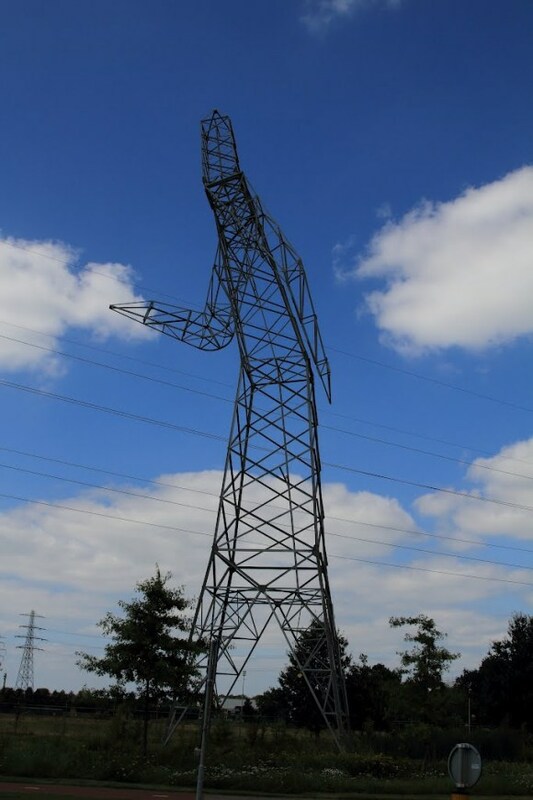 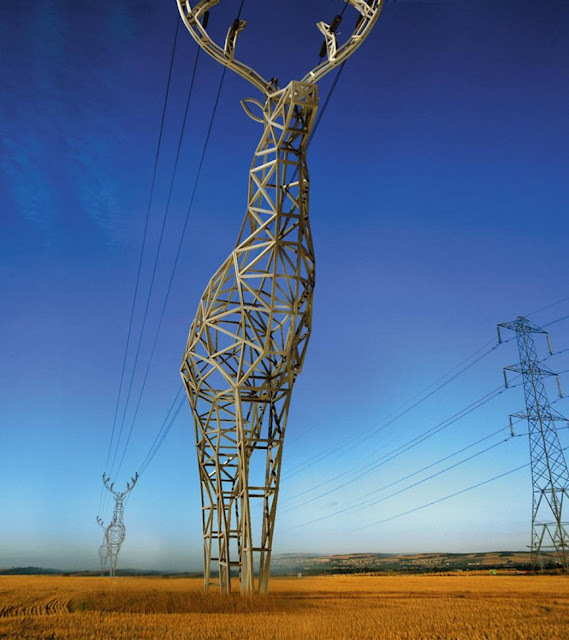 Deer-Shaped Electrical Towers: The Deer-Shaped Electrical Towers are design concepts by Moscow-based design studio Design Depot. 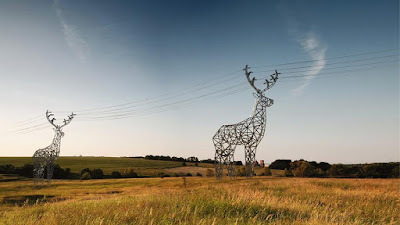 Source: Source is located in the municipality of Amnéville-les-Thermes in France; it's a work of art by the Bulgarian-French artist Elena Paroucheva. 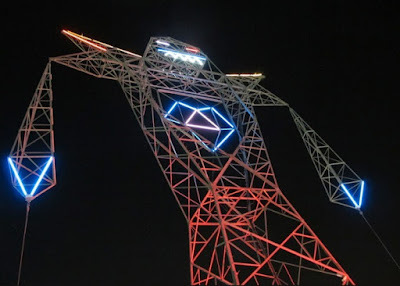 Colossus: Colossus looks like a luminous robot, its created by Doma for Tecnopolis 2012. 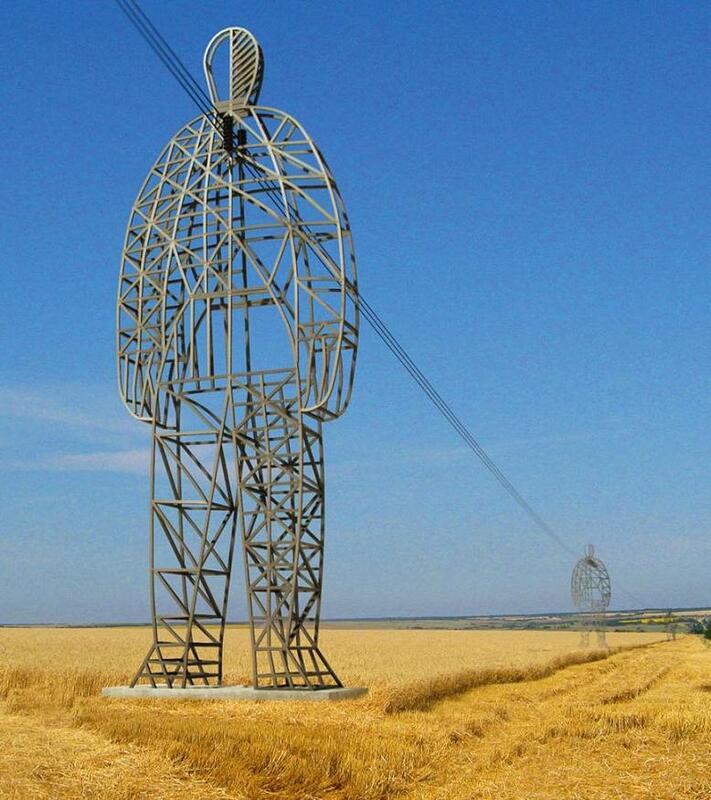 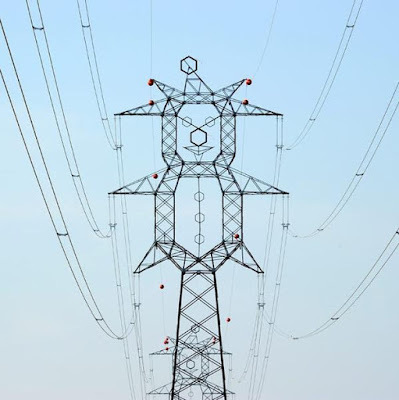 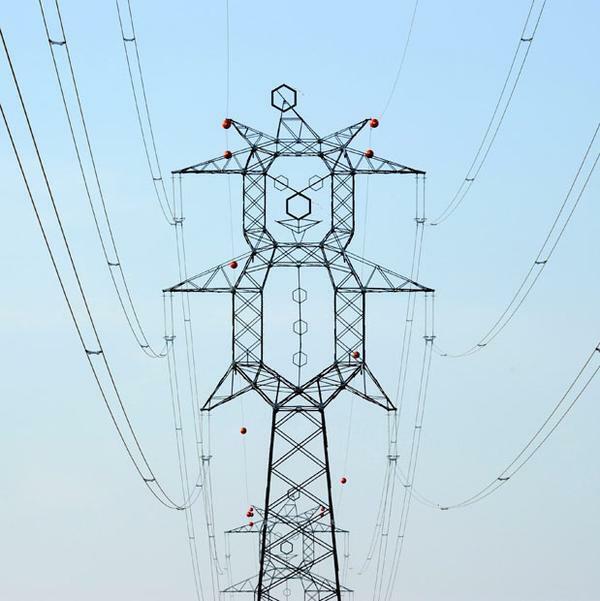 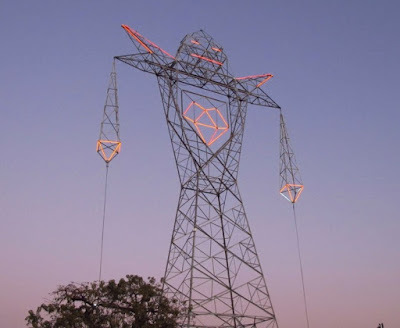 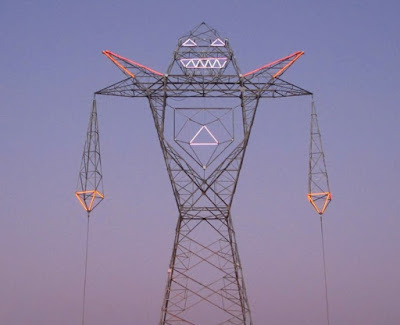 Clown Electric Pylon: This clown shaped tower comes from Újhartyán, Hungary. 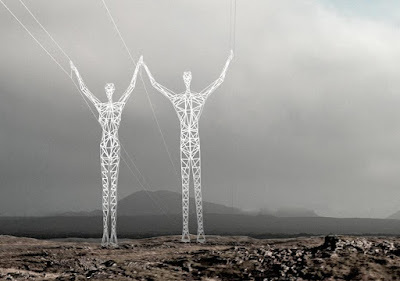 Electricity Pylons by Arphenotype: Architect Dietmar Koering of Arphenotype designed these high voltage transmission line towers. 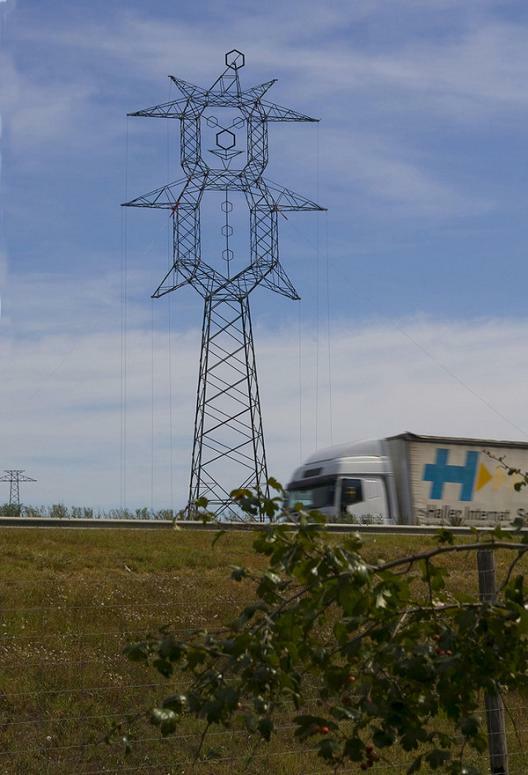 Abstract Figure Electric Pylon: This strangely shaped abstract figure electric pylon was spotted beside a road in Holland. Bonus: Another one from Moscow-based design studio Design Depot.